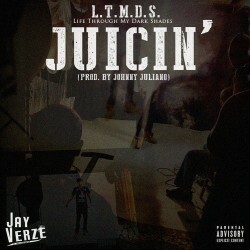 In the build up to the winter release of his new project Life Through My Dark Shades, Jay Verze has released cool lead single “Juicin’” with a fresh video. Real name Darius Exum, the Baltimore artist was labelled one of his city’s most promising rappers on the back of 2012’s “21117 (TwoElevenSeventeen)” and he’s looking to build on that buzz by dropping “Juicin’”. The Johnny Juliano produced cut plays at a chilled tempo but has enough of a gritty edge to represent Verze’s depth of experience as he executes slick, cocky wordplay which seems to roll off his tongue effortlessly. Highlights of the Addy Play directed visuals include smoke filled backdrops and the rapper waking up from a successful night to his even more successful sneaker collection. New Wave Order releases video for "Hollywood Hulk Hogan"